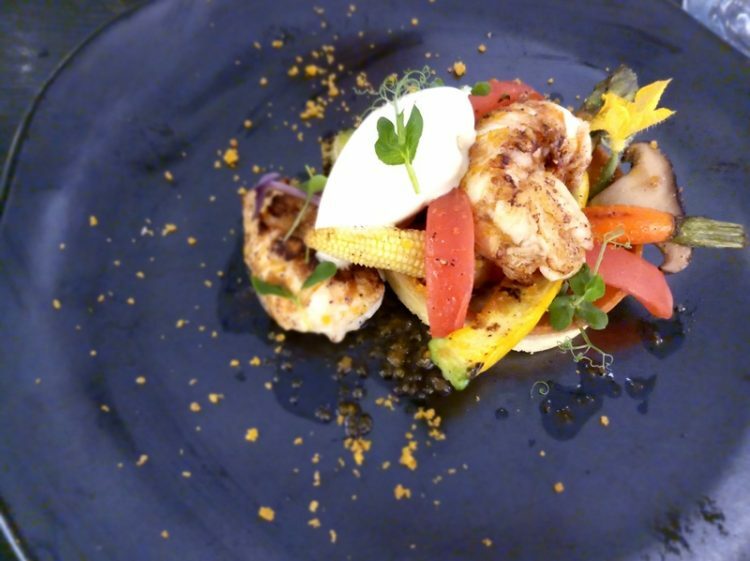 The world’s biggest French Gastronomy event is ready to commence with lots of pomp and flair! 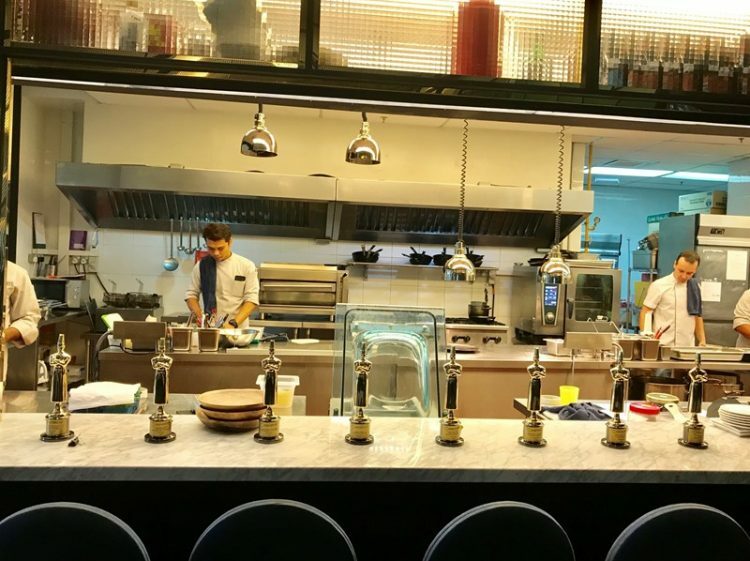 From 21st to 24th March 2019, a whopping 20 restaurants in Malaysia will be showcasing their most outstanding dishes that represents this year’s theme of responsible cooking. We at EatDrink.my were absolutely delighted to partake in tasting menus facilitated by several of the participating restaurants. 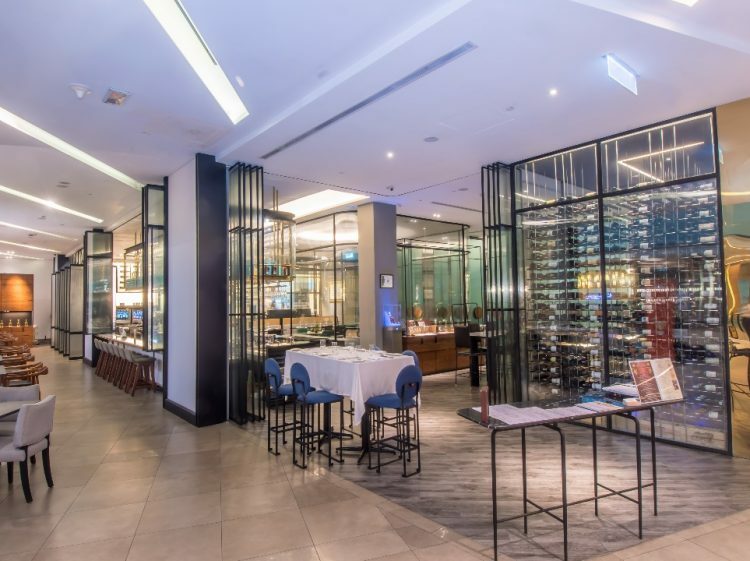 Situated on the 2nd floor of DC Mall, Damansara City, is Soleil Restaurant. 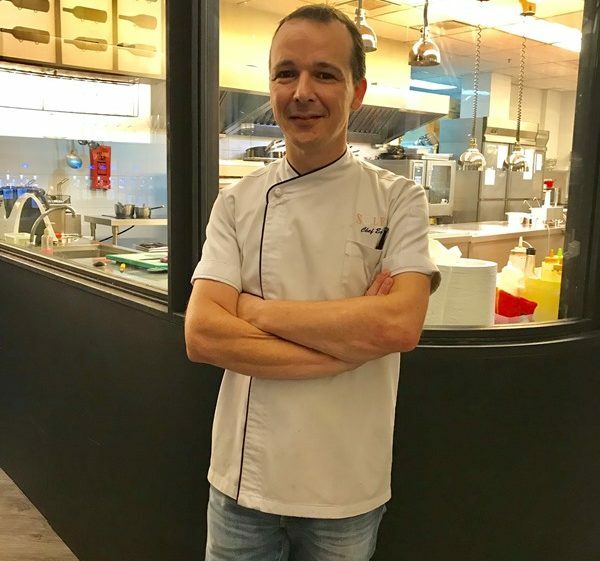 Their very hands on head chef, Evert Onderbeke is proud to present his utterly evocative menu encompassing modern European cuisine with a distinctive French twist. 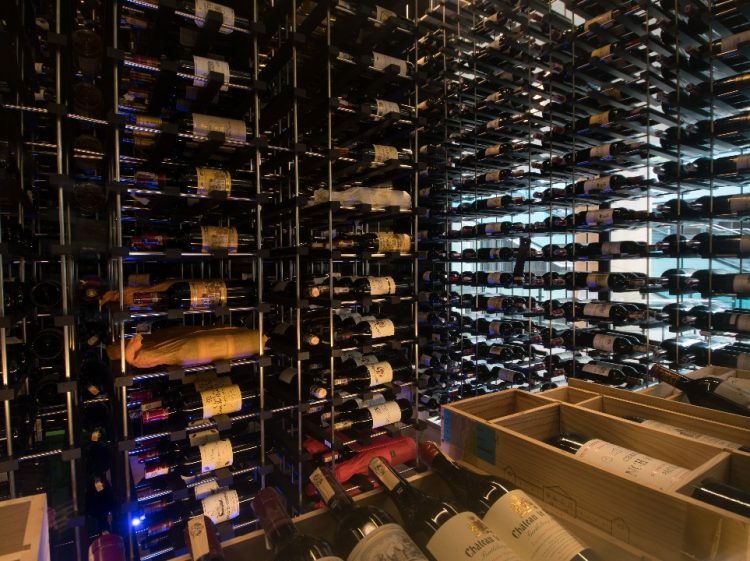 The restaurant is a sprawling expanse of handsome elegance made up of an impressive wine room, a lengthy and well-stocked bar, open-kitchen, as well as dining areas separated by floor-to-ceiling glass panels. 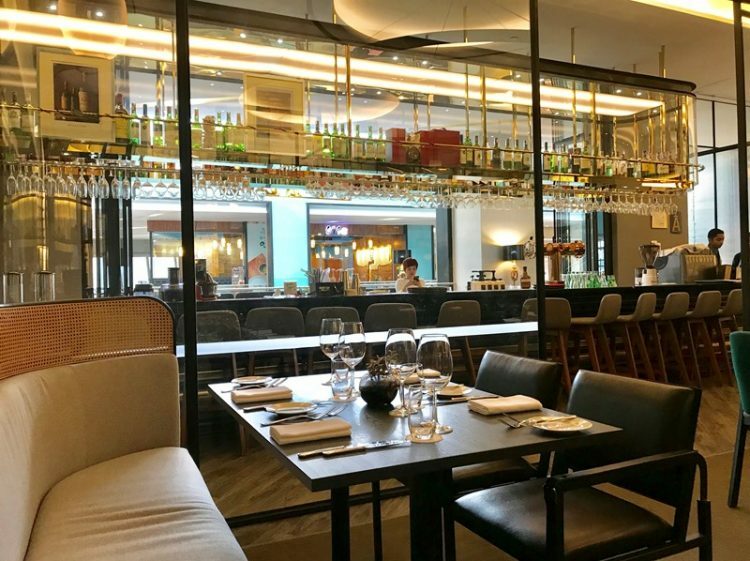 Visiting Soleil particularly for Goût De France, we were looking forward to experiencing their specially curated menu celebrating French cuisine. While we were settling in, we noticed Chef Evert and his team were already busy putting together his creations for the evening. After we settled in, we were brought Acqua Panna still water and given our menus. It’s safe to say, just reading what was to come spiked our appetites up straight away. Soon after, we were brought two glasses of 2011 Macon Lugny Saint Pierre Bouchard Pere et Fils to get acquainted with right before our starters arrived. It had a lovely bouquet of strawberries and grapefruit, and a sharp acidity yet with a soft finish. 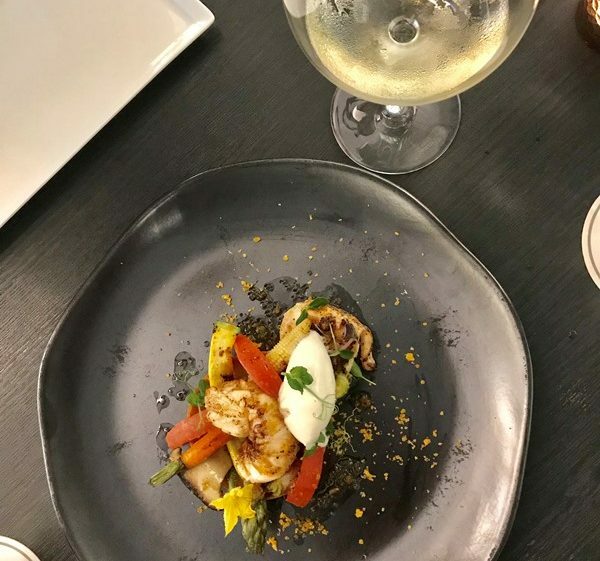 The chardonnay was paired with an organic vegetable tart Nicoise, consisting of anchovy dressing, olive oil sorbet, and slipper lobster. It was summer on a plate; crisp, fresh vegetables that still had a bite to them, although cooked perfectly. The anchovy dressing was reminiscent of a different take on a Ceaser salad, except it wasn’t. It just had that familiar flavour and it pulled the whole dish together very suitably. The olive oil sorbet was delicately creamy, melting into the tart, and being absorbed by the vegetables and crust. And we couldn’t get enough of the crust; it held together immaculately and was beautifully sweet and buttery. With the wine, it felt like we were on a summer’s day picnic. Next, we were very generously offered both choice of mains to sample to our hearts content. 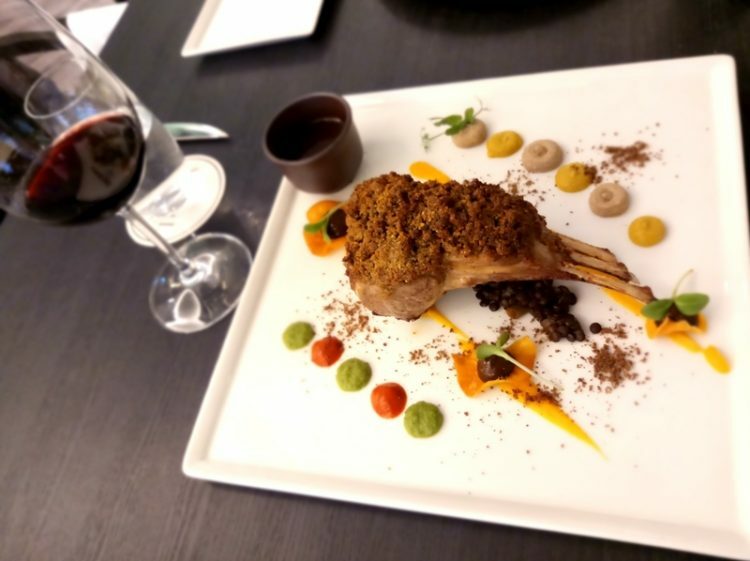 There was a robust looking pistachio crusted lamb rack, with lentil du puy, doubeurre, aubergine, and sauce a l’estragon, as well as a comte and hazelnut crusted turbot with puree de pommes de terre Robuchon, epinards sautes au crevettes, and beurre blanc. Both dishes were paired with a 2013 Domaine Beaurenard Rasteau. The Rhone valley wine was intense, yet silky with notes of blackcurrant and cinnamon. The lamb rack was grilled to a perfect medium, with a slightly pink centre. It was rich in taste coupled with that beautiful a l’estragon sauce elevating the meat further, and finally the lentils bringing an earthiness to the whole dish. 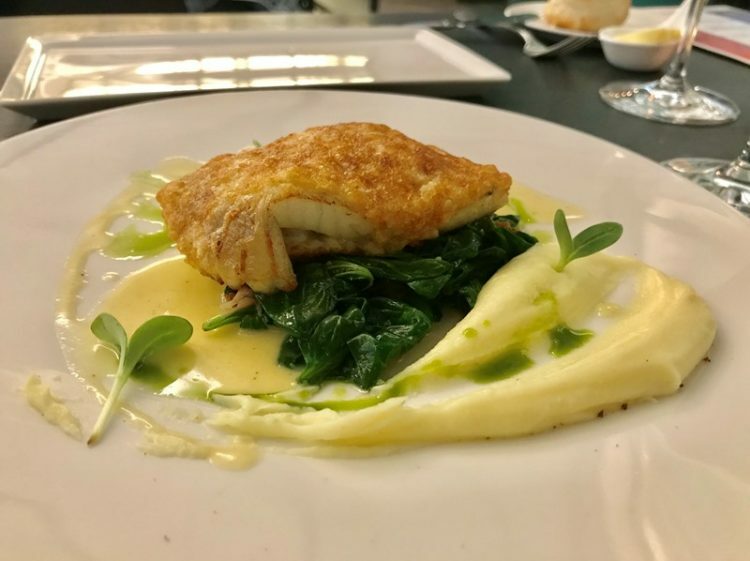 The comte and hazelnut crusted turbot was simply heavenly served with the beloved and late Chef Joel Robuchon’s version of puree de pomme. Gently wilted spinach and a lovely beurre blanc sauce was completely delicious on it’s own although not overpowering the fish. The dish gave one a very comforting feeling while being consumed. And the Rasteau somehow complemented both meat and fish dishes quite ideally, which was a little startling. I have never had fish with red wine before this. Soleil’s brilliant and charismatic sommelier who is also the restaurant manager, engaged us in captivating conversation throughout our meal which we thoroughly enjoyed. We exchanged culinary stories, and we loved his in depth knowledge of every wine served alongside the food. Once our mains were done, and we had a bit of a breather, he wheeled out a cheese trolley. 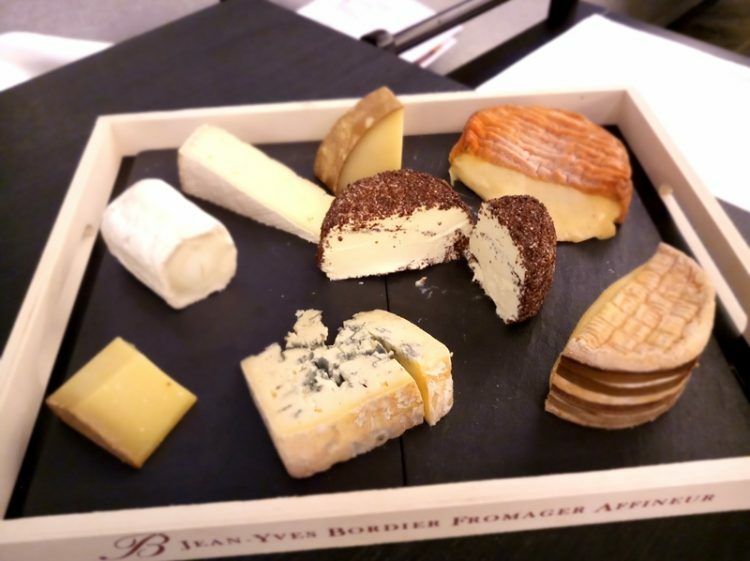 We were made giddy with the selection of gorgeous Bordier artisan cheeses, imported directly from a cheese maker in France. We told him we would pass on the brie de meaux and chevre, and go straight to the runniest, and more pungent cheeses. This was France. We had our cheese with delicious little cups of French onion soup, honey bread, and dehydrated tropical fruits. 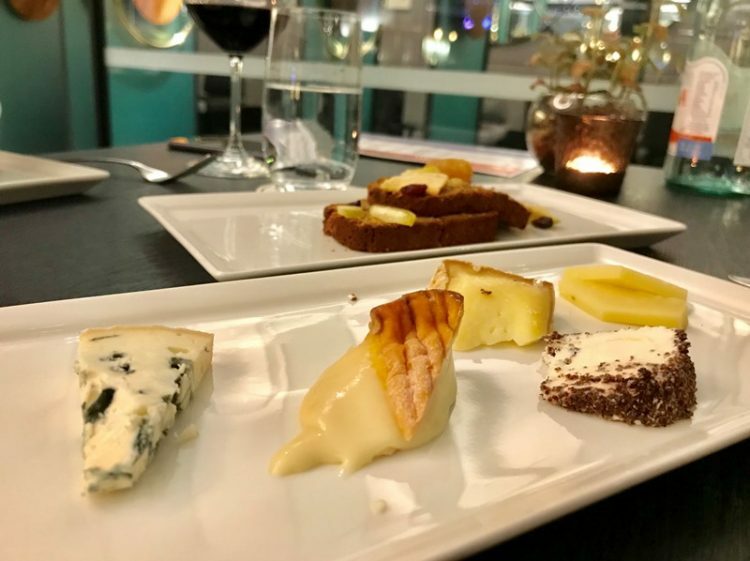 Our cheese course was also paired with a 2007 Chateau du Glana, Saint Julien Cru Bourgeoise which was oaky yet fruity with hints of dark chocolate. 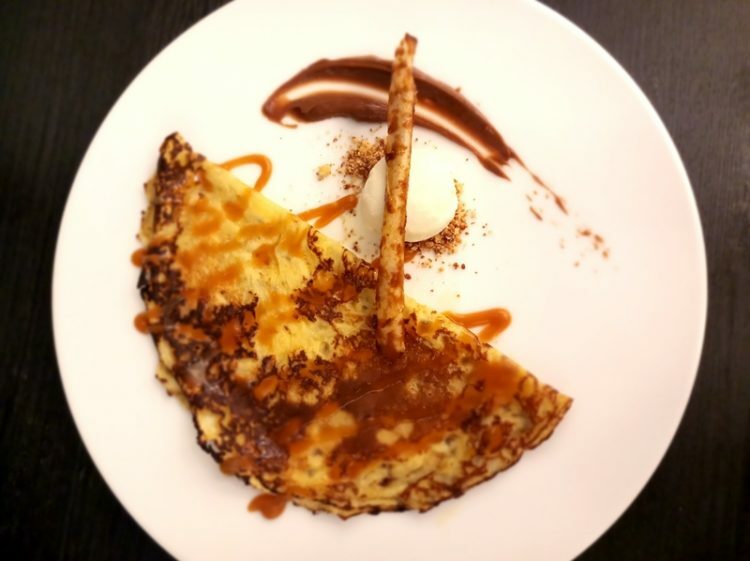 Dessert was a resplendent affair of French crepe with valrhona tanariva ganache, amagnac ice cream, hazelnut and caramel sauce. 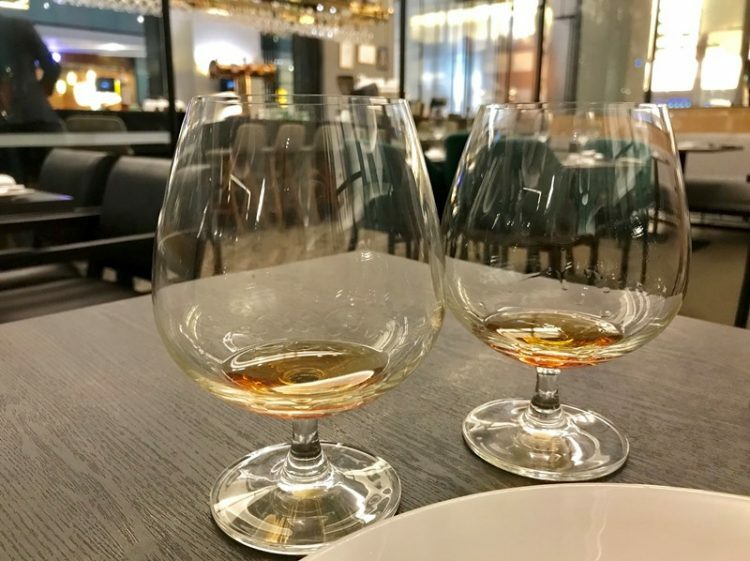 Our sommelier was truly excited for us to try Chef Evert’s armagnac ice cream, assuring us it was unlike anything we’ve ever had before. And he was right, it was a bewitching treat indeed completely raising the bar where desserts are concerned. He was even kind enough to let us have a small taste of the exact armagnac the ice cream is made from. 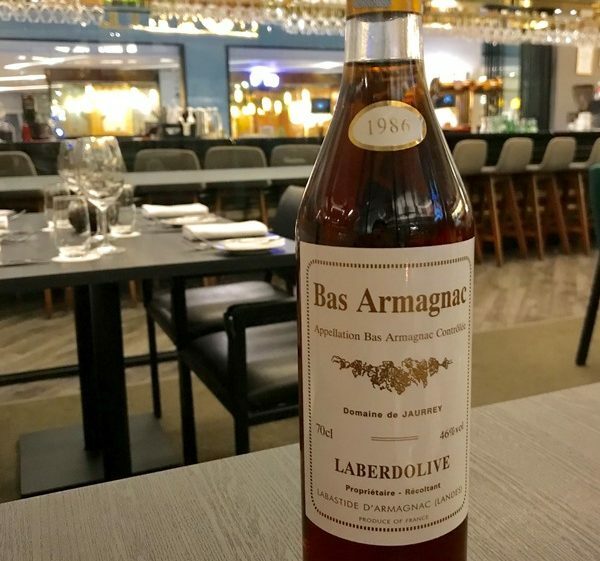 A 1986 Laberdolive Domaine de Jaurrey Vintage Bas Armagnac; aromatically heady with a flawless honey colour. It was staggeringly potent, sweet, and beautiful. By this time, we were confounded by the kind of service Soleil provides their customers. The service industry needs a real shake up to remind themselves that it was once a proud and noble industry. 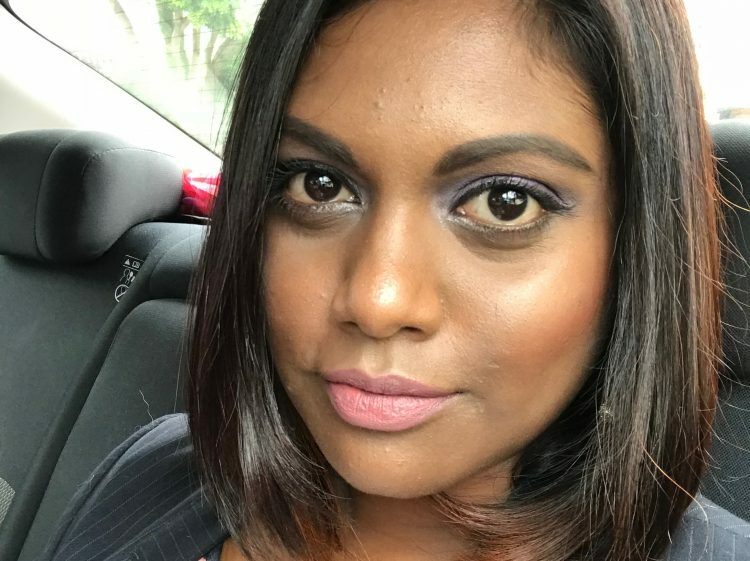 Soleil is one of the rare few who still hold tightly to those values, and for that we are willing to say they’re one of the best on the scene. 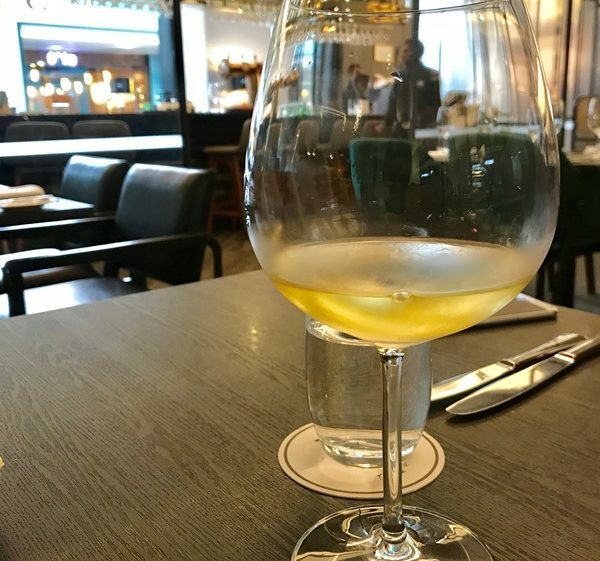 If you’re still undecided about where you would like to observe Goût De France, make Soleil your choice and be prepared to enjoy a very memorable dining experience. Goût De France dinner menu is priced at RM195++ per person, with an additional RM95++ for wine pairing.